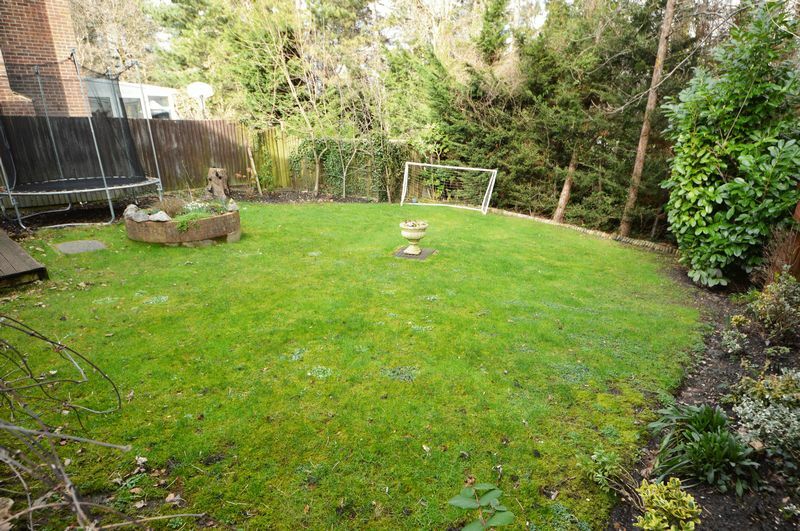 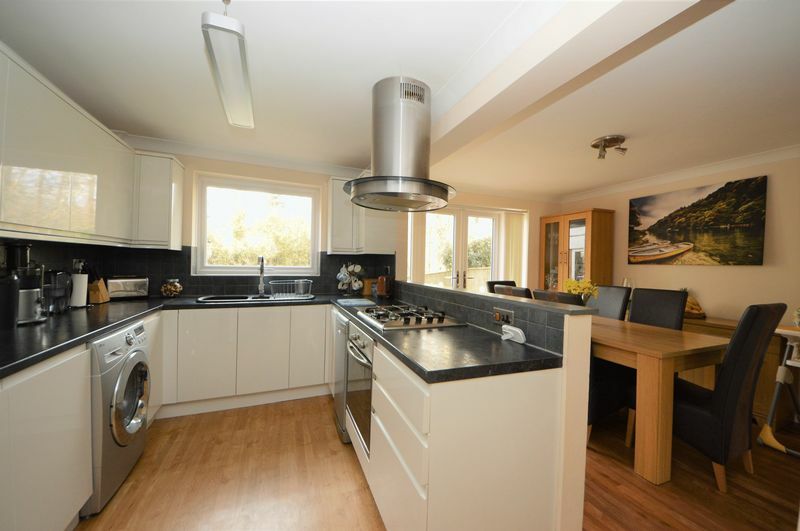 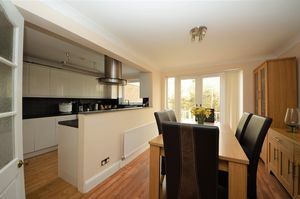 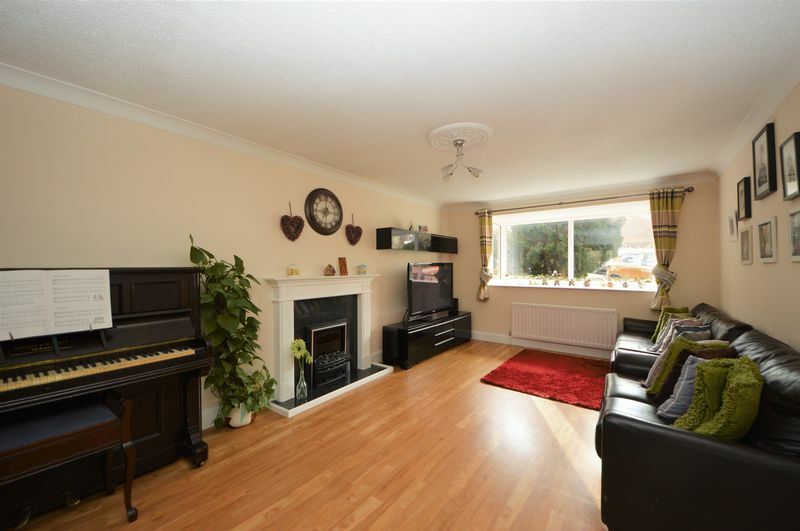 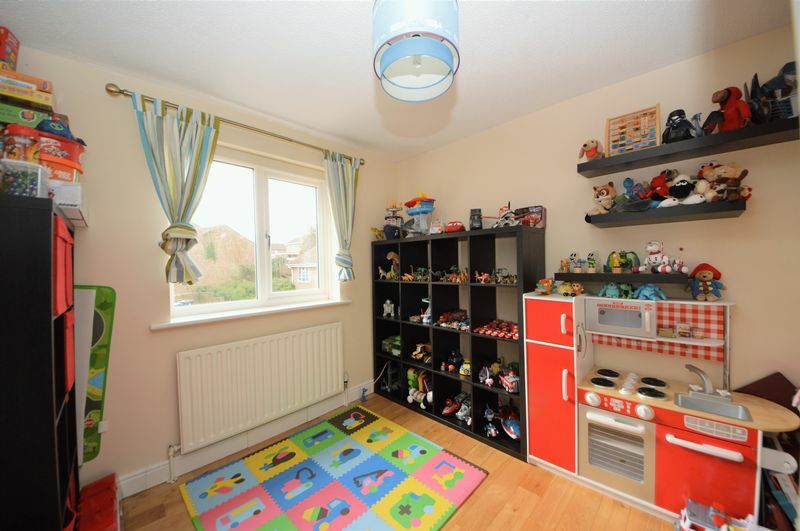 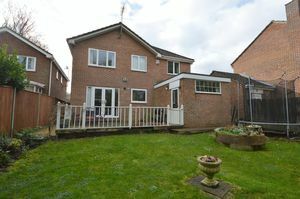 FIVE BEDROOM DETACHED FAMILY HOME WITH MODERN OPEN PLAN LIVING. 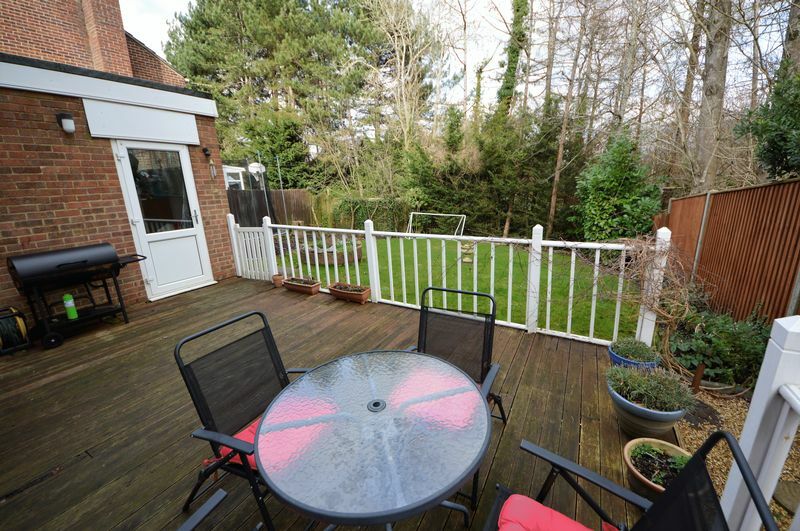 A five bedroom detached house situated in a Waterlooville cul-de-sac location. 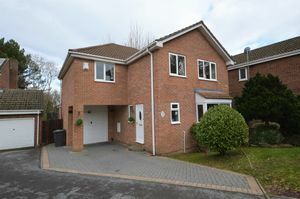 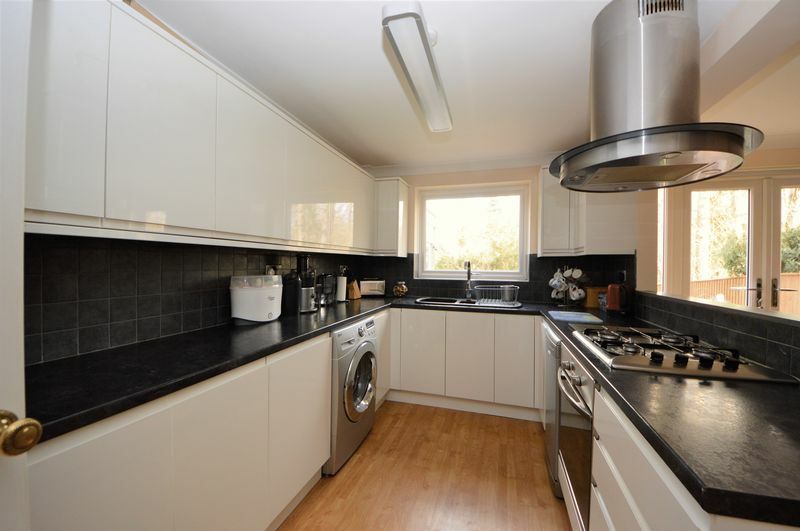 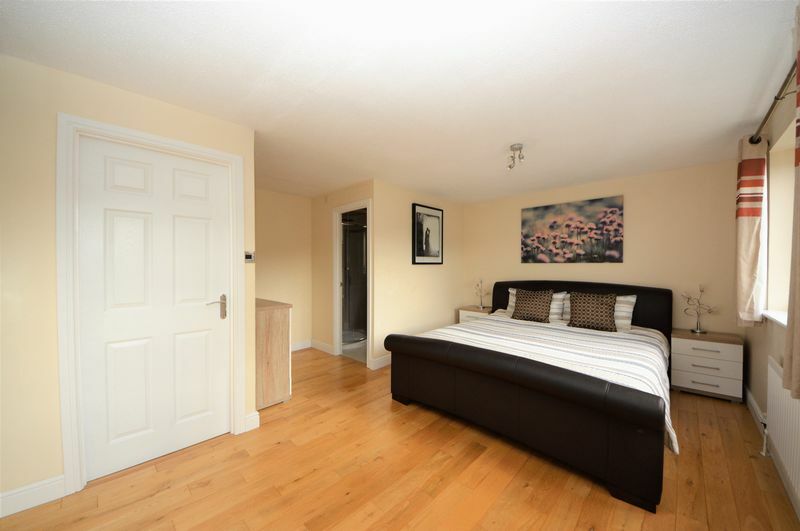 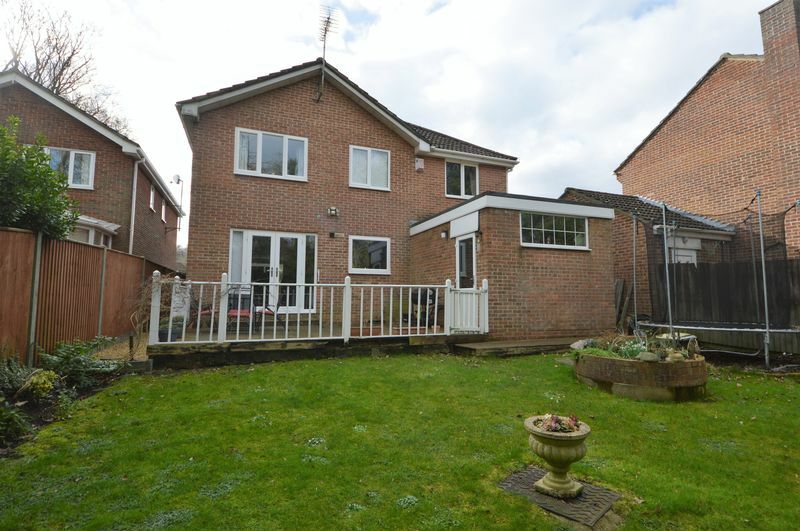 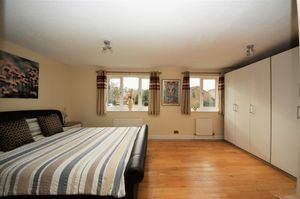 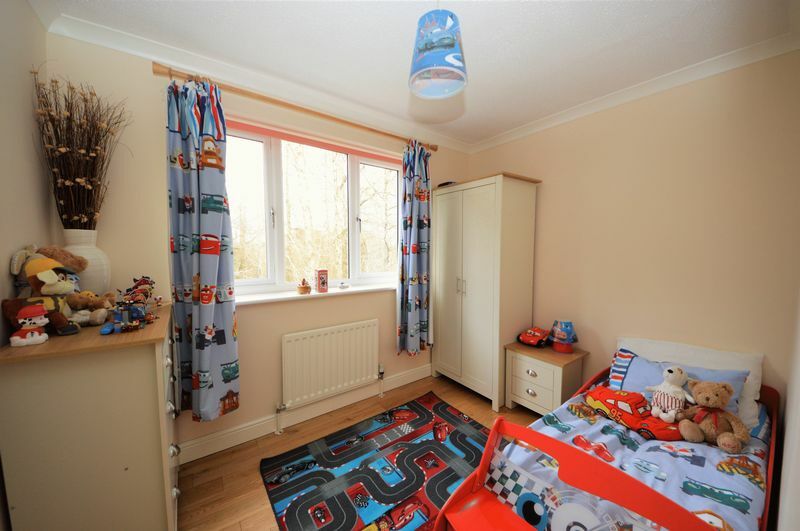 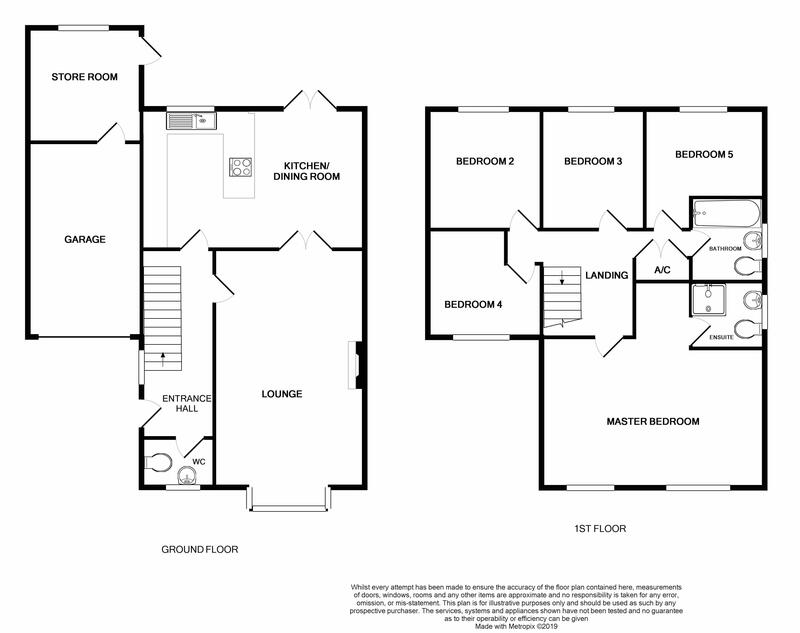 This property benefits from double glazing, gas central heating system, garage with store and driveway parking, mature rear gardens, lounge, open plan kitchen/dining room, cloakroom/W.C, master bedroom with en-suite, family bathroom, and viewing is highly recommended. 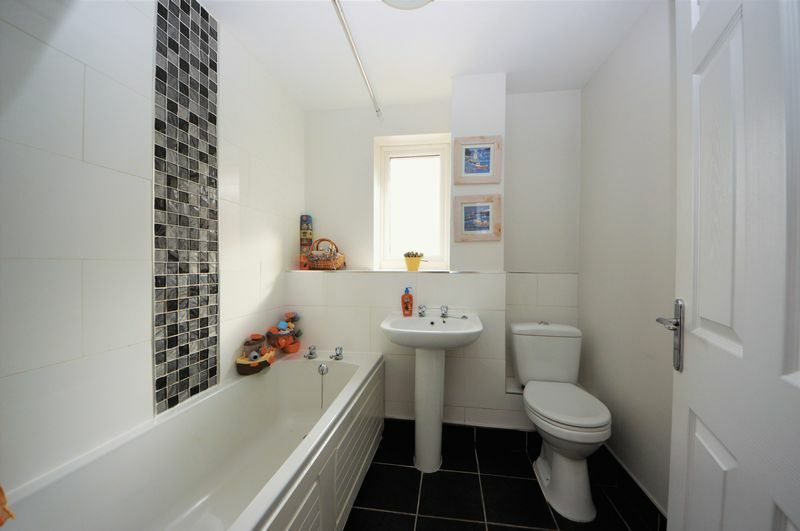 Front aspect double glazed window, textured ceiling, radiator, half tiling to walls, W.C, wash hand basin. Rear aspect double glazed window, rear aspect double glazed picture windows and French doors to gardens, range of eye and base level unit with work tops over, tiled splash backs, radiator, oven, hob, and extractor hood, one and a half sink unit, space for washing machine, fridge/freezer and dish washer, coved and smooth plastered ceiling. Side aspect double glazed window, tiling to floor, tiled splash backs, bath with shower over, W.C, wash hand basin, smooth plastered ceiling, heated towel rail. 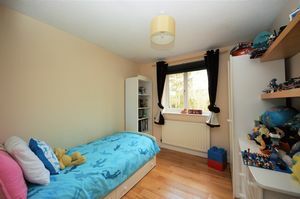 Rear aspect double glazed window, radiator, wood flooring, textured ceiling. Rear aspect double glazed window, radiator, wood flooring, coved and textured ceiling. 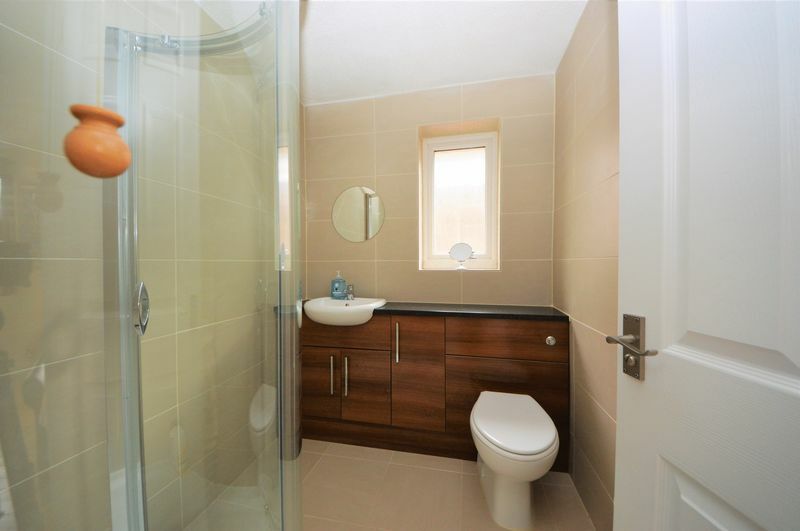 Side aspect double glazed window, tiling to floor and walls, shower cubicle, vanity unit incorporating W.C and wash hand basin, heated towel rail, extractor, textured ceiling, heated towel rail.